Edmonton Oilers management, hours after dismissing GM Peter Chiarelli and promoting assistant Keith Gretzky on an interim basis, says the team isn't in rebuild mode, believes the solution to its recent struggles lies in the dressing room and remains focused on making the playoffs this season. 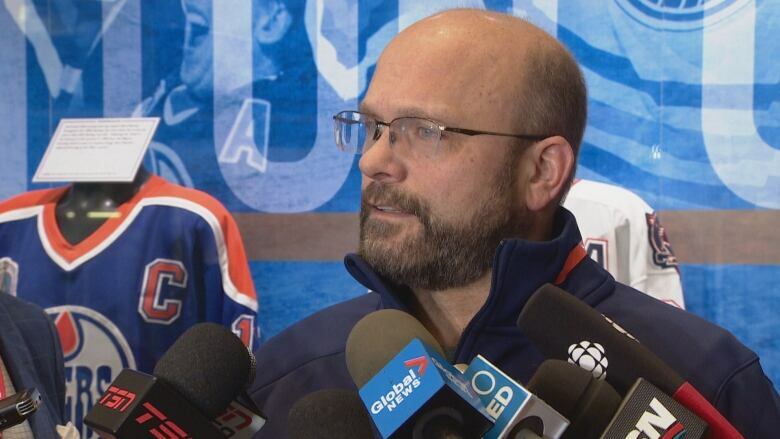 Edmonton Oilers management, mere hours after dismissing general manager Peter Chiarelli, says the team isn't in rebuild mode, believes the solution to its recent struggles lies in the dressing room and remains focused on making the playoffs this season. Bob Nicholson, CEO and vice-chair of Oilers Entertainment Group, addressed reporters for 18 minutes Tuesday, saying the team wouldn't rush to name Chiarelli's successor and that assistant GM Keith Gretzky would assume much of the GM's duties on an interim basis. "We've got some real good players. We've got some real good staff," said Nicholson, "but there's something in the water here in Edmonton that we don't have right and we've got to get that figured out. "The way you figure that out is you talk to people. I'm going to try to open up more doors in all aspects of this organization to find out those little things that haven't been fixed over the last number of years [to get us into the post-season]." Nicholson added he would lead hockey operations and the search for a full-time GM while Gretzky, 51, would be the point man in preparing for the Feb. 25 trade deadline. 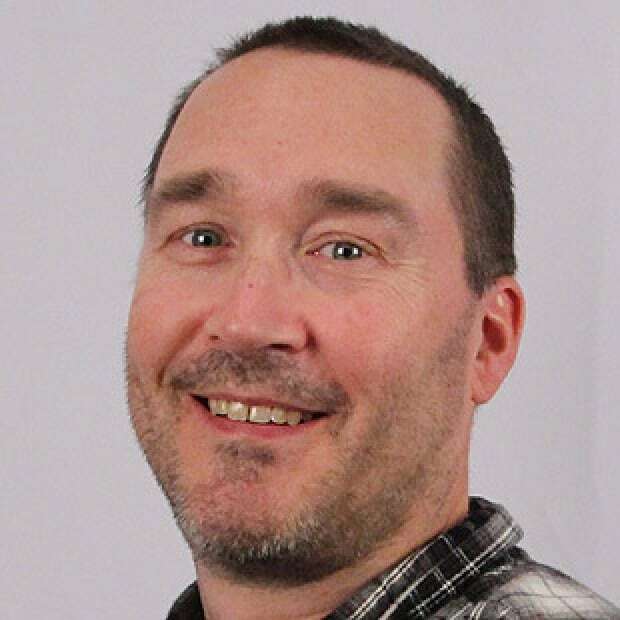 The brother of former Oilers great Wayne Gretzky joined the team in July 2016 after serving as director of amateur scouting with the Boston Bruins and previously with the Arizona Coyotes. "I know there's people out there that believe this team can't make the playoffs. We believe in the organization, we believe in the dressing room, that we can," Nicholson said. "We're not going to trade our first-round pick and any of our assets away for a quick fix. We know we have to bring in some other pieces but we're going to put the onus on the group inside the dressing room because they have shown they can do it." The Oilers, following Tuesday night's 3-2 home loss to the last-place Detroit Red Wings, are off for 10 days, with the all-star game this Saturday at San Jose followed by a bye week. "We have a lot of work to do here in the organization over this break," said Nicholson. "We gotta find out answers of how we can make this team better to make the playoffs, but I emphasize again we're not going to give away the future." Edmonton's ninth defeat in the past 11 at Rogers Place pushed the team three points out of playoff position with a 23-24-3 record. Sure, the Oilers are only three points behind Colorado for the second wild-card spot in the NHL's Western Conference but there are three teams ahead of them in Vancouver, Anaheim and Arizona. Chiareilli, who departs with one season left on his five-year contract, arrived in Edmonton in August 2015 after guiding the Boston Bruins to a Stanley Cup title in 2011. But he didn't witness a drastic improvement in play during his tenure as the Oilers missed the post-season twice in his first three seasons. They lost in the second round in 2017 following a 47-win, 103-point regular season. In late November, Chiarelli fired head coach Todd McLellan during a 1-6-0 slide and brought in Ken Hitchcock. Following an initial 8-2-1 surge, Edmonton has faded in recent weeks. "We saw [after the coaching change] that we have it within the players in the dressing room to play a top level in the league," said Nicholson. "[But] we slipped again. Some of the moves we've made have not worked and I felt Peter had done everything he could to make this team better, so we needed a new direction." A series of moves by Chiarelli didn't complement a top-heavy roster, led by captain Connor McDavid and fellow forward Leon Draisaitl. June 26, 2015: Acquired defenceman Griffin Reinhart from the New York Islanders for Pittsburgh's first-round pick and Edmonton's second-rounder in 2015 draft. Reinhart had one point in 29 games for the Oilers in 2015-16 and was selected by Vegas in the 2017 expansion draft. The first-round pick (16th overall) turned out to be centre Mathew Barzal, who had 85 points last season. In 49 starts this season, the 21-year-old has a team-leading 45 points . June 27, 2015:Picked up goalie Cam Talbot from the New York Rangers for a third-, fifth- and seventh-round pick. Decent move, at least in the short-term, as none of the players drafted by the Rangers has appeared in an NHL game. June 29, 2016:Taylor Hall dealt to Devils for Adam Larsson: Perhaps Chiarelli's most notorious blunder. Drafted fourth overall in 2011, Larsson has yet to reach 20 points in any of his three seasons with Edmonton while Hall was the 2018 Hart Trophy recipient (NHL MVP) after scoring 39 goals and 93 points in the 2017-18 campaign. June 22, 2017: Jordan Eberle traded to Islanders for Ryan Strome: A cost-cutting move by Chiarelli, who watched Strome play 100 games (36 points) before moving him to the New York Rangers two months ago for fellow forward Ryan Spooner. Earlier this week, Spooner cleared waivers and has been largely ineffective in an Oilers sweater. Eberle had 59 points last season on Long Island and has 23 points in 45 contests this year. "I'm certainly not absolving myself of any responsibility on the player personnel [side]," Chiarelli said in November. "This is a collective thing and it's our job to get to the playoffs. We owe it to our fans." Hitchcock inherited an Oilers outfit that has scored fewer goals than it has allowed (57-66) and is having its troubles on special teams as the power play ranks 15th (20.6 per cent success rate) in the 31-team NHL while the penalty kill is 27th (74.2 per cent). Edmonton has since slipped or improved slightly in those areas, with a minus-18 goal differential while sitting 11th of 31 clubs on the power play (21.1 per cent) and 25th on the penalty kill (77.3 per cent) through Tuesday. Nicholson said Hitchcock's role hasn't changed following the Chiarelli firing and that he would remain head coach for the balance of the season. In his first move Tuesday, Nicholson assigned 20-year-old forward Kailer Yamamoto and Spooner, 26, to the Bakersfield Condors in California. "We want our younger players to develop more in the American Hockey League," he said. "I think we gotta leave them down there until they're overripe. Yamamoto is on the verge of [being an NHL regular] but he has to play a lot of minutes. We really believe in this player." Nicholson also scoffed at the suggestion that the Oilers allowed Chiarelli to re-sign goaltender Mikko Koskinen on his own to a three-year, $13.5 million US deal less than 36 hours before he was fired. "Peter did not make that deal all by himself," said Nicholson. "This deal started when we got together with our pro scouts in Palm Springs [Calif.]. We looked at the goalies that would be available next year. We really believe in Mikko. We had to make a decision between Mikko and Cam [Talbot]." A pending unrestricted free agent, the 31-year-old Talbot recently lost his starting job to the 30-year-old Koskinen, who had four games of NHL experience before this season. Koskinen will have an average salary cap hit of $4.5 million, or nearly double his current one year hit of $2.5 million. "We have the best player in the world [in McDavid]. We have other good players in that dressing room," Nicholson noted. "Do we have to supplement that better? Yes, but I really believe a lot of the solution is inside the dressing room. "Speed and skill is a big part of the game and character is one thing we're going to look at. We can be a good team but haven't shown that consistently. We need to make sure we have the right chemistry in the room, the right character in the room, to bring the best out of all of our players."